Cava is out, Prosecco is in. 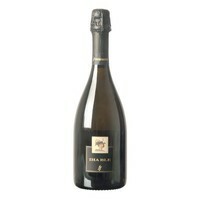 Indeed Prosecco proves enormously to gain interest. On the Belgian and Dutch market, this is the fastest growing segment in wine consumption. Where Prosecco earlier was mainly known as a rather sweet sparkling wine is now in Veneto hard nailed to the road to bring a beautiful and varied selection here in the market. Prosecco has of course always a fruity and fresh taste but that is also perfect as a summer terrace drink. 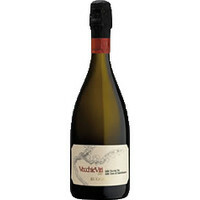 The "high end" Prosecco's safe to stiff competition from other prestigious sparkling wines. For those who prefer the classic (read as with champagne), the Italian market offers an enormous wealth and variety of sparkling wines made following the "metodo classico", so as Champagne. Best known is the Franciacorta but there are many other fine examples such as metodo classico of Scacciadiavoli based on the Sagrantino grape. Plenty of choice and enjoy it anyway! 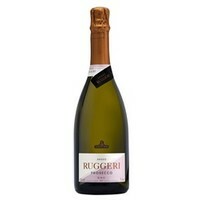 This Superiore is the bestseller of Ruggeri. With an intense fruity bouquet, but very delicate. pleasant, sweet and fresh on the palate and pleasantly light of alcohol. 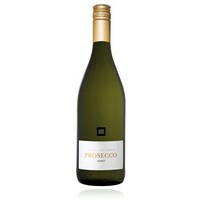 Prosecco as it should be, dry and fruity. 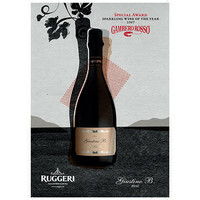 This is a top prosecco, already four years in a row (2011-2014), awarded the coveted three red cups of Gambero Rosso. Such consistent quality is rare! 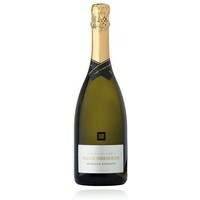 On several occasions praised as the best prosecco in the world. 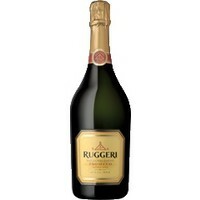 This brut proved a success with our customers during the last holiday season. A fresh and fruity frizzante. Excellent price / quality ratio. With this beautiful Terre di Sant'Alberto You get value for your money. All brands Fontanassa Ruggeri & C.